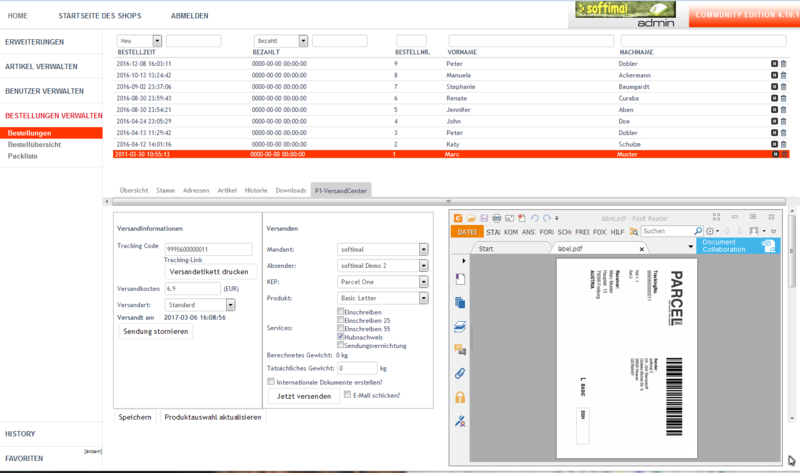 OXID eXchange | Parcel.One - Shipping Module (Connector) 1.0 | Stable | CE | 4.7.x - 5.3.x | Module, Themes, Language Packs direkt herunterladen! Shipping Labels will be created after selection of product and services. Custom documents: Custom data can be entered here, and will be transferred to Parcel.One. You can enter and print at least 10 custom detail lines. 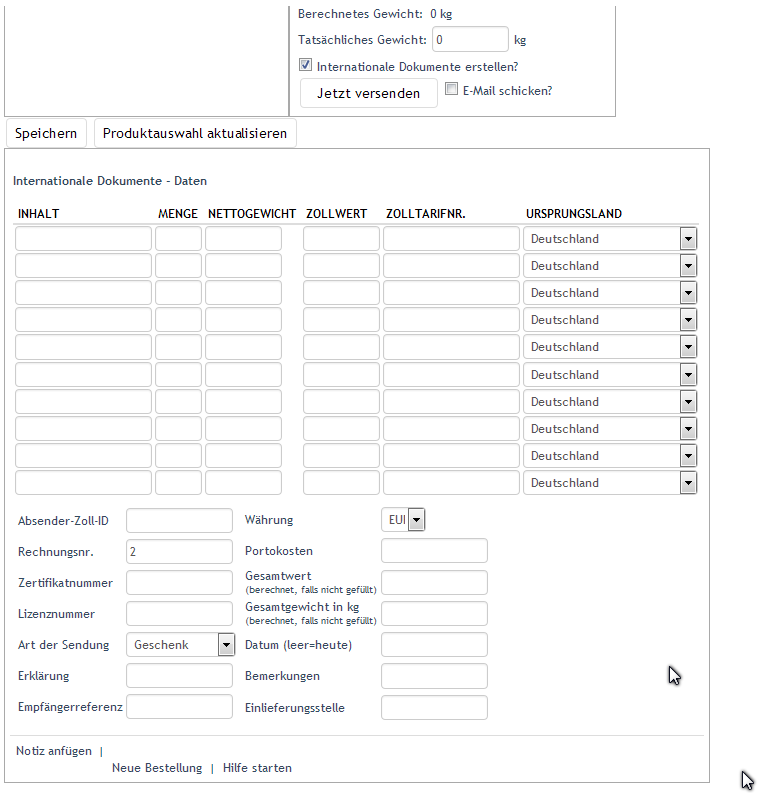 Parcel.One products and services can be selected by Dropdown-Boxes. List of available products and services may be synchronised with Parcel.one over a button. Support of several mandators and consigners per mandantor (requires corresponding settings at Parcel.one). Please contact Parcel.One in order to receive your access data for entering in module configuration. Contact under http://parcel.one.